In 2016, we were approached by Unity College with the idea of having an on-site café that brings the local community and their students together, to create new business and learning opportunities. 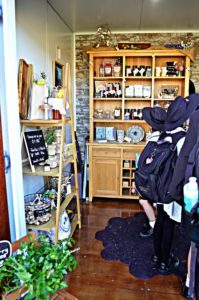 It would also be a place that students, staff and parents could visit throughout the day. After our initial briefing we went to the drawing board. 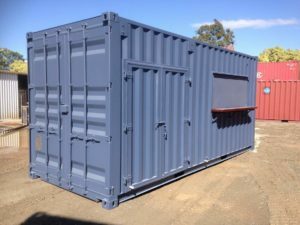 We used a new 20’ high cube container, adding an awning and side doors. We installed electrical power points and lighting, as well as a split system air-condition unit. The container was then fully insulated and finished with a brick effect feature wall and a polished floor. The biggest challenge we were faced with were the aesthetic features. 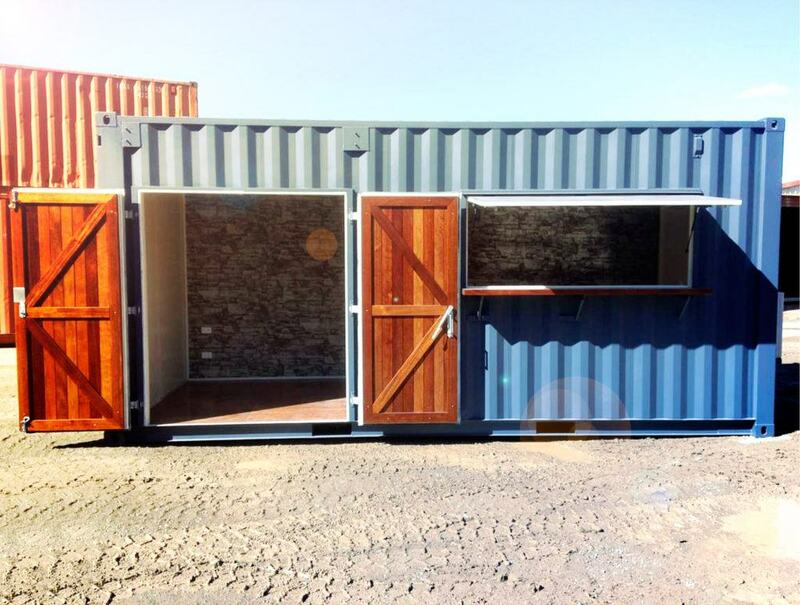 We don’t often get asked to polish and varnish the floors of our containers, nor to install wood inside of steel doors – but what a great look when they are open! 2 years on and the ‘CoOp @ Unity College’ is thriving! 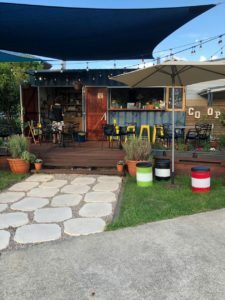 Sat on decking, overlooking the Hospitality and Lecture Theatre facilities, the shipping container café is perfectly placed for staff, students and parents to pass through and stop for their morning coffee. 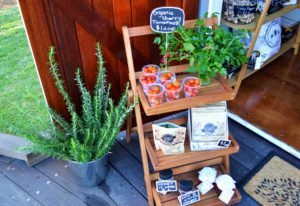 The container even has its own little garden area that welcomes wildlife, fresh flowers and herbs. 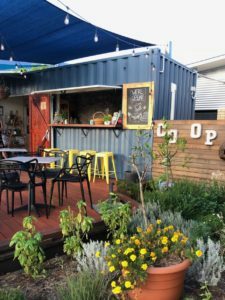 The CoOp has also provided shift work for Year 12 students who are interested in gaining Barista and customer service skills. The Senior Hospitality students also come up with new initiatives to connect their cooking lessons to the café. 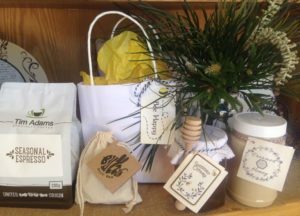 They will often sell their meals at the CoOp for lunches, or provide freshly cut ingredients and recipes for customers to take home and cook. 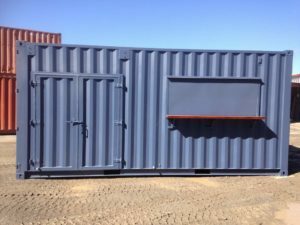 This shipping container conversion concept is open to the whole College too, with Junior students regularly visiting the space for outdoor lessons. 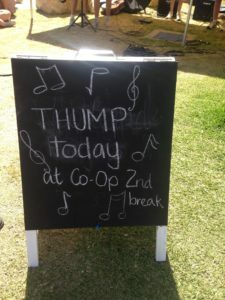 Music students are also welcome and provide customers with soothing sounds at lunchtime for the Thursday ‘Thump Sessions’. The musicians come to showcase their talent whilst also helping to create a collaborative and creative space. Because of innovative work and student focused initiatives like these, Unity College has just been selected as a finalist in the 2018 Sunshine Coast Business Awards in the Education & Training Category. 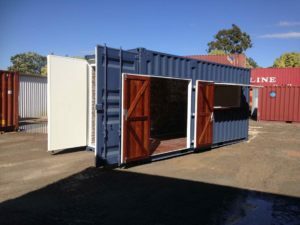 This Premier Box conversion is a great example of how you can turn a hollow shipping container in to a fully functioning business. Way to go Unity!